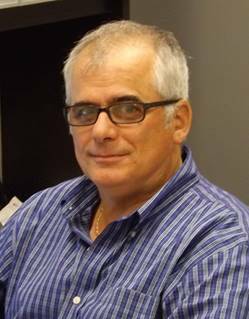 Len Vassos has a long history with PVX Plus Technologies Ltd. Last year he was promoted to Director of Development. Astecom had an interview with him about his role within the company and his vision on the future of PxPlus. In November 2013, Len Vassos started working at PVX Plus Technologies Ltd as Software Development Manager. He was responsible for the development and support teams and was tasked to initiate and manage new enhancements. Since his promotion, he has taken this to a new level and is more involved in the business end of the company. PxPlus is maintained by a driven development team of 6 people, which include developers, QA analysts and technical writers. As a group, they have well over 100 years of software development experience. Several other individuals, all of which also have a background in the computer industry, also support our development team. One of these solutions is the new way – to update PxPlus. From the new Online Update window users can easily view the available updates. “I am very pleased with this new feature. The new Online Update capability has worked out much better than we all expected. It allows us to deliver fixes and minor enhancements much more quickly to the developers. Unlike other software that forces you to update, with PxPlus you can control when to install and/or even install specific updates. DireXions+ is the yearly technical conference by PVX Plus Technologies, where Len and most of the PxPlus staff provide both workshops and presentations. This year it was held again in Toronto, Canada, and attracted visitors from The United States of America, Canada, Australia and Europe. During two days, all the new features for PxPlus 2016 were reviewed and there was a hands-on workshop, many opportunities to network and a museum visit. “DireXions+ 2016 was a huge success! Our attendance grew by 10%. We were very pleased with the increase in attendees. Customers came from around the world to attend the conference. There was a lot of excitement with the direction of PxPlus. We had two days of presentations that were very well received. This DireXions was slightly different. Instead of just presenting the new features, we demonstrated real world examples showing how the new features could be used in a software application by adding many of the new capabilities to the sample C.A.T.S application. All our attendees received copies of the presentations and the sample application so that they could explore more on their own later. Following the actual conference on the third day, we had optional workshops where customers got hands on experience with our newer capabilities such as Data Mirroring, including mirroring on the cloud, and using Responsive Design to create screens that work on multiple devices from desktop monitors to tablets to smart phones. Look at some highlights on our DireXions dashboard, which is powered by PxPlus. Write these dates in your agenda and meet up with Len Vassos and the PxPlus team. During the network events at DireXions+, it is possible to have a conversation with members of the PVX Plus team: developers, manager and supporting staff. This way attendees can discuss new functionality and/or suggestions to the product. “During the past DireXions+ we received a number of great enhancements suggestions. That is just one of the reasons I look forward to DireXions+. At the conference, we plan for plenty of networking time that allows us to interact with our customers in person and to discuss the problems they are having. Many times, we get to surprise our customers as the solution to their problem is already in PxPlus. We also get great ideas from the PxPlus mailing list and from our help desk. And, of course, we have received a number of excellent requests from Astecom that have been added to the product. There is no hard and fast rule as to what is added and what is not added. It varies based on the needs of the client base and the complexity of the feature. Complex requests that are submitted from multiple clients obviously get higher priority than those submitted from just one. Small changes often get included even if they will only benefit a few clients. PxPlus is continuously kept up to date to address changes in the industry. Len and the entire PxPlus team make sure that improvements such as new technologies, protocols, and interfaces are constantly monitored and considered as PxPlus works to keep ahead of the technology curve. It’s because of this dedication that PxPlus can keep being a modern programming language. PxPlus already has many standard features that are otherwise absent with other programming languages. For instance, PxPlus programs don’t need to be compiled and can be changed ‘on the fly’. This reduces the time it takes to develop software, and helpdesk support times are drastically reduced. The programming language itself is also very easy to understand. PxPlus’s core development language is derived from Basic, so it’s simple to learn. This results in a shorter learning curve for new employees. PxPlus can nonetheless deliver powerful solutions using OOP (Object Oriented Programming), XML and JSON. Multi-language software can be developed using PxPlus’s language database options. Last but not least, PxPlus can be used on a variety of operating systems and the same developed code can be used cross-platform. Len, along with the entire development team, is working every day to get the best out of the PxPlus software. The software development toolkit has a bright future ahead because of this continuous stream of new or improved features. “Our primary task is to safe hold the quality of PxPlus. We’re always in the process of improving the software, but at the moment, our main focus lies with Web development, User Interface enhancements and improving the development -toolkit including Web deployment. The Dutch translation for this article can be found here.